Have a Facebook account ? So do we. Drop us a message to let us know what you're up to or to comment on our website ! We also are active on Twitter, drop us a tweet ! Doors open at 7:00 PM, Meeting starts at 7:30 PM. The April Edition of the MARC Newsletter is currently posted. The West Stark Information Net convenes every Friday evening on the club's 147.18 repeater beginning at 8:00 PM. There is no net on club meeting night. This is a general information net and accepts all check-ins from the community. Current Net Manager is Wade Huthmacher, WD8MIU Contact him at wd8miu@gmail.com. Net Managers are currently looking for stations to assist with net control duties. All training will be provided. The Massillon MRN Net convenes every Sunday, evening on 3600 Khz (+or- QRN) at 8:00 PM. This net is designed to provide code practice to all participants regardless of skill level. Contact webmaster to have yours added here! Have a Look At This Fine Selection ! The Stark County ARES Website provides the latest Public Service News. Click Below to visit their site. Amateur Radio has consistently been the most reliable means of communications when other systems have failed. Hams work closely with disaster relief agency officials from FEMA, the American Red Cross, the Salvation Army, and other response organizations to offer wireless communications aid. From wildfires and earthquakes to marathons and road races, when getting the message through is critical, ham radio works. The Amateur Radio Public Service Handbook is for all hams that volunteer their time and skill to serve their communities. It provides knowledge needed for communicating quickly and effectively during disasters, emergencies, and community events, as well as an opportunity to learn more about the Amateur Radio Service and its unique role in supporting the public. Check out the links below to see a variety of Information on the hobby we call Amateur Radio ! The 2019 Stark County VE Exam Schedule has been set. Our next exam will be held on Saturday, May 25th at the Stark County EMA Office on Route 62 in Canton. Registration at 8:00 AM, testing at 9:00 AM. Click Here to find other VEC Exam locations. Our club repeater is always available for all operators. Use PL 110.9 Hz. Try out your Yeasu Digital Voice radio's on our Fusion equipped UHF Repeater on 442.85 Mhz. What is the MARC ? Welcome To Amateur Radio ! Apr 20, 2019) - - With an eye toward helping new and inexperienced hams enjoy the full range of activities that Amateur Radio has to offer, Hamvention� and the ARRL 2019 National Convention will embrace the theme of �Mentoring the Next Generation.� Hamvention hosts the National Convention May 17 � 19 at the Greene County Fairgrounds and Expo Center in Xenia, Ohio. This will mark the third year for Hamvention at its new venue. A contingent of ARRL staff and member-volunteers will join forces to make available many ARRL exhibits and resources to Hamvention visitors. The centerpiece of ARRL�s participation will be ARRL EXPO in Building 2. An extensive roster of exhibits and activities will also educate and entertain. Instructors from the ARRL Teachers Institute for Wireless Technology will be on hand to bring wireless and electronics theory to life in hands-on demonstrations and lessons. They�ll also touch on satellite communications, microcontrollers, and the fundamentals of robotics. At a Sunday morning forum (10:30 AM � 11:30 AM in Room 2) called �Discovering Radio Communications,� presenters for the Teachers Institute will highlight a variety of instructional experiences and ideas. As part of its mentoring focus, ARRL has invited members of the Nashua (New Hampshire) Area Radio Society to Hamvention and ARRL EXPO to share the club�s effective and well-developed outreach program. The ARRL Special Service Club, which boasts more than 200 members and is being recognized as the 2019 Hamvention Club of the Year, caters to radio amateurs of all interests and experience levels. NARS will host an interactive exhibit that may serve as a model for other radio clubs to emulate as well as a Friday midday forum, �ARRL Spotlight on Radio Clubs and Mentoring� (11:50 AM � 1:05 PM) in Room 3. Club members will discuss their activities and approach to building membership and club participation. ARRL-sponsored forums will include the always-entertaining ARRL Laboratory Manager Ed Hare, W1RFI, who will present �The ARRL Lab: Trials, Tribulations and (Tall?) Tales,� on Friday morning (9:15 AM � 10:30 AM) in Room 3. Hare has promised to share with Hamvention visitors the inside information about what goes on in the ARRL Lab, including a few tales you�ll never read about in the pages of QST. ARRL Great Lakes Director Dale Williams, WA8EFK, will moderate the popular ARRL Forum on Saturday (12 PM � 1:15 PM) in Room 3. On hand to discuss �ARRL�s New Volunteer Monitor Program and the FCC� will be Riley Hollingsworth, K4ZDH, a familiar face to many Hamvention visitors from his days with the FCC. Hollingsworth is heading up the development of this new program using guidelines provided by the FCC and his years of experience working in the FCC Enforcement Bureau. Among other things, he�ll talk about the importance of helping each other to maintain high standards on the air, issuing �good operator� notices to recognize exemplary behavior, and of course, deterring poor operating practices. This forum is set for Sunday morning (9:15 AM � 10:15 PM) in Room 2. 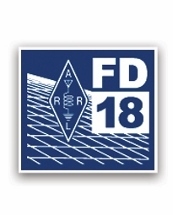 Other ARRL-sponsored forum topics will include a panel discussion on ARRL public service communications, moderated by Rob Macedo, KD1CY, on Friday afternoon, (2:25 PM � 3:40 PM) in Room 3. The ARRL Collegiate Amateur Radio Initiative (CARI) forum, moderated by brothers Andy, KK4LWR, and Tony Milluzzi, KD8RTT, will cater to university students and those supporting campus radio clubs on Saturday afternoon (4 PM � 5 PM) in Room 3. The Wouff Hong is a fictional tool used to �punish� Amateur Radio operators who demonstrate poor operating practices. According to legend, ARRL Co-Founder Hiram Percy Maxim, 1AW, under the pseudonym �The Old Man,� unveiled the Wouff Hong just as radio amateurs were getting back on the air after World War I, early in 1919. The �specimen of a real live Wouff Hong� he wrote about in QST was presented to the ARRL Board, which voted that it be framed and hung in the office of the Secretary of the League. The artifact remains on display at ARRL Headquarters today, a constant reminder to radio amateurs to be mindful of operating etiquette. (Jan 27, 2019) - - The club annual awards banquet was another great evening as we presented several awards recognizing several member achievements over the past year. We also had a great dinner prepared by the K of C Hall. A few pictures are shown below of several major award recipients. Click the link below to see all the pictures thanks to new Vice-President Don Rankl, N8IVJ. Attendance was great at this years dinner. Evan, KE8IDH (R) receives an award from Club President Perry, W8AU. (Dec 1, 2018) - - Very soon we will once again activate the Holiday Page on the club website. Again this year I found some fun new items to post including more holiday music, video�s, gift ideas, great holiday food recipes and some neat Christmas gifts that any ham would like to see under the tree. The Holiday Page is our gift to you, the members of the club and the many friends and visitors who regularly visit each holiday season. Merry Christmas to you and yours and I hope to see many of you at our January banquet ! (Nov 2, 2018) - - The MARC just finished assisting with the 64th Annual Massillon Holiday Parade sponsored by Massillon Main Street and the Downtown Massillon Association. This continues to remain the oldest public service event that is handled by the club and our responsibilities have grown over recent years to include many aspects of parade operation. The parade was rebroadcast over Massillon Cable TV and I hope some of you had a chance to view it. The club trailer looked great on the route with our new decorations and special thanks to Jim Farriss - WA8GXM for pulling the trailer in the parade. In the early years of the parade, we provided only communications support to the Massillon JC�s organization who handled the staging of all the parade units. When they disbanded, the city struggled to find volunteers willing to take on this task. Since the MARC handled communications support, somehow we got nominated to take on this responsibility as well. I�m glad to report another successful public service event with very few problems thanks to our communications and parade skills. Over 50 years and counting Santa has arrived in the city in no small part thanks to the MARC. ARRL Field Day Time ! (July 6, 2018) - - Field Day 2018 is now a fond memory. The weather cooperated well for the most part. We got a little "damp" during set-up but it passed and then it got a little windy and cooler. Although the clouds threatened, the rain stayed away through the rest of Field Day weekend. Sunday was a great day ! With no RF interference to the church electronics, it looks like we may have a found an ideal spot to hold Field Day again next year !. Of course we will need a majority yes vote to make that happen. The evening meal was - can I say delicious and plenty of it. If you went away hungry, then there was something wrong. Big thanks goes to the kitchen committee (YL's and the XYL's) for a job well done ! We will have the early results ready for the meeting and final score finished in time for next month's Feedback and printed in the newsletter and our website. The Set-Up Crew hard at work ! Does anybody remember where the wires connect ? Jim, WA8GXM on the six meter radio. Dan, N8DZM opens the contest at 2:00 PM. The CW Station gets ready. Our CW Station with Igor, K8INN at the key ! (June 18, 2018) - - On Saturday, June 17th the club participated in the Annual Touch-A-Truck Day at Buhler's Market parking lot in Jackson Township. This event allows children of all ages the opportunity to experience first hand cars and trucks of all kinds. Everything from Police and Fire vehicles to a helicopter and many more were on display. The club had our EComm Trailer on site with our mast extended and equipment on display and operating to demonstrate our hobby to the public. Perry, W8AU also brought his military jeep to show. Lots of children toured our trailer and the Jeep many having their picture taken operating our main station. Eleven club members assisted with this event. It was a great time and we received many comments about our equipment and how we serve as a backup communications service to public safety forces and our community. Many thanks to the several club members who helped out or stopped by to have a look including Terry - N8ATZ, Perry - W8AU, Wade - WD8MIU, Jim - WA8GXM, Wade - W8DEA, Chris - KD8TNF, Ted - K8TWA, Mike - KB8OTK, Mike - KE8EHG, Don - W8DEF, Tony - KD8UXK and Ralph - K8HSQ. Also thanks to Jim for some great aerial drone shots. Jim acts a tour guide for our many visitors ! Our Drone shot, that's our mast on the right ! We even had a shady spot to handle the very hot day ! (May 28, 2017) - - The MARC will participate in this years Memorial Day Parade in Massillon on Monday, May 29th. The club EComm Trailer will be decorated in full colors with flags denoting all branches of our armed services and will be part of the parade starting at 9:30 AM Monday morning. Club members are encouraged to attend the ceremonies to recognize our members who have served in the military and to reflect on the true meaning of this important holiday. W8AU ready to join the parade units ! EComm One Shows Off the Colors ! (Mar 4, 2017) - - A special thanks to Ohio Section Manager Scott Yonally, N8SY for the great program at our March meeting. Lots of interesting news going on here in the Ohio Section and a nice review of what to expect from the League at this years Dayton Hamvention. Thanks for the fine program Scott at our annual ARRL night ! A full house for our annual ARRL program night ! (Feb 11, 2017) - - We would like to take this opportunity to introduce and honor Officer Timothy J. France. Officer France has been serving the community of Perry Township for the last 35 years and will be retiring from our department February 9, 2017. Officer France obtained his bachelors degree from Kent State University in 1979 and continued his education by completing the Lawrence Township Police Academy in 1980. He began his career as an Auxiliary Officer for Lawrence Township and Jackson Township. Officer France started as a full-time police officer with the Perry Township Police Department on June 2, 1981 and was one of the original nine full-time police officers when the department first began operations. During Officer France's career he was a Road Patrol Officer, Detective, Union Representative and Evidence Officer. Officer France has had many highlights in his career and has helped tremendously with multiple large projects within the police department. Officer France was one of several employees to assist in the creation and implementation of the �Special Response Unit,� as well as the radio/communication system and the organization of the evidence room by applying advanced professional standards. Officer France not only has great attendance for his regular shifts but in times of significant and critical investigations he responds to calls for service at all times of the day or night with no questions asked. The Board of Trustees will be honoring Officer France at the Board meeting on Tuesday, February 7, 2017 at 7:00pm at the Perry Township Administration Office- 3111 Hilton St. NW, Massillon, Ohio 44646. As always the public is welcome to attend. It has been a privilege to work with Officer France. His kindness and sense of humor will be greatly missed! We wish you the best of luck, Timmy! Retiring Officer and Lifetime MARC Club Member Tim France, WB8HHP (R). Congratulations Tim on a fine career of public service to our community ! New Repeater Antenna Installed ! (Oct 12, 2016) - - On Saturday, October 8th members of the MARC Technical Committee completed the final phase of the 147.18 Mhz upgrade project. With the help of Marty Baker, N8XPK and Committee lead Jim - WA8GXM along with helpers Terry - N8ATZ, Mike - KB8OTK, and Vern - KE8VS, the new commercial 4 bay antenna was replaced along with a new section of feedline to the Tower Site. We noted that when the old antenna was lowered to ground level it was clear that the antenna had been damaged by lightning multiple times certainly affecting it's performance. This completes a nearly year long upgrade process that included the installation of the new Yaesu Fusion Repeater, a GE Power Amp, and a newly refurbished duplexer and many other minor upgrades in our effort to eliminate intermittent repeater noise and poor performance to our main two meter repeater. During this time we also upgraded our UHF System on 442.85 Mhz with a new Yaesu Fusion repeater, new feedline and in September a new commercial grade 2 bay antenna. Over the next few months, we will be closely monitoring the main club repeater performance to make sure we have cured several problems and will once again have a great sounding solid repeater system for our membership. Our thanks to Marty and the repeater committee for completing this project before winter weather arrived. the air with a 15 to 20 mph wind ! tower. Thanks to WA8GXM for the pix ! A job well done by everyone and Thanks ! March Program Details UPDATED ! (Feb 21, 2016) - - Our scheduled March program was to have been presented by club member Don Wade, W8DEA on his recent FEMA assignment. Due to scheduling difficulties, this program will have to be postponed until later this year. Fear not however, we have a very nice backup program that we will have for you at the March meeting. Several months back an interesting article appeared in either QST or CQ Magazine that covered how well the new series of handhelds performed up against the current big three manufacturer's (Icom, Yaesu and Kenwood). The results were a bit of a surprise as many of the current crop of very low priced HT's did not fair well during compliance testing. How about yours ? Club President Ralph Bugg, K8HSQ will bring along his portable spectrum analyzer to the meeting and will be happy to run a simple test on your HT to see how clean your output signal is. It is simple and quick to test. Just make sure you bring your HT and it's antenna. I know we all have at least one handheld, I have one for every day of the week ! So make sure you bring it along to the meeting and let us put it to the test ! Our fill-in program on HT Purity testing yielded some very interesting results as we expected it to. The two pictures below show the results of testing on two common manufacturers of current HT's. One was the new infusion of a China made model BAOFENG - UV-5RA and the current Yeasu FT2D Digital HT. Several HT types were tested along with a few commercial models. Have a look and make up your own mind ! This shot is from the Yeasu FT2D. The tall vertical trace on the left shows a nice signal with only a few spurious emissions shown by shorter vertical lines to the right. This shot is from the China made Baofeng UV-5RA. While the signals are similar you can easily see multiple spurious emissions on the right. A slightly "dirty" radio signal. In all, about 15 handhelds were tested with various results. Not scientific but it would appear that you do indeed get what you pay for ! (Feb 6, 2016) - - The February club program was given by our Affiliated Club Coordinator John Meyer, KD8MQ who gave us a great introduction to this years major ARRL operating event, National Parks On The Air. John's powerpoint presentation gave us the full details of this nationwide operating event that promises to be very exciting and give plenty of fun operating for everyone. This event will help the NPS celebrate their 100th Anniversary. Hams from across the country will activate NPS units, and promote the National Parks Service and showcase Amateur Radio to the public. The club may even explore the possibility of operating from one of the nearby NPS units. (Feb 6, 2016) - - In recognition of his continuing service to the club in many areas throughout 2015 and before, member Steve Hall, KD8ACF was presented a Special Recognition Award at the February meeting. A special thanks to Steve for his dedication to the club year after year ! (Jul 5, 2015) - - At age 86, Ed passed away on Tuesday June 23, 2015. Born in Harpster, Ohio the son of the late Clifford and Orel (Swihart) Clinger, he had been a resident of East Sparta and the Canton area since 1940. Ed was a 1947 graduate of East Sparta High School. He retired from Ashland Oil Refinery in 1989 after 36 years of service where he was an area supervisor. He was a member of the Ashland Oil Retirees Club, Otterbein United Methodist Church�Navarre, The Canton Amateur Radio Club and the Massillon Amateur Radio Club and Quarter Century Wireless Association Chapter # 21; Ed�s Call sign was WA8DRT, Ed�s humorous phonetics were � Whiskey Delta 8 Dirty Rotten Tomato� Ed was also a member of Caldwell Lodge #330, F.A.& M. in Bolivar, A.A.S.R. Valley of Canton, the Mercy Medical Center Ostomy Club, Wilderness Center Nature Photo Club and he served in the U.S. Naval Reserve. Proceeded in death by his son, Jay Clinger. Survived by his wife, Doris Clinger; two daughters and sons-in�law Jamie Sue and Steve Voican, of Massillon, and Robyn and Roy Adkins of Lake Butler, Fla.: two sons and daughters �in-law Stanton and Lois Clinger of Broomfield, Colo, and Stephen and /Karen Clinger of Boalsburg, Pa; one sister, Lois Armington, of Willoughby, Ohio; and ten grandchildren and 14 great grandchildren. Our Most Sincere Condolences to the Family of Ed Clinger. 73�s good friend we wily surely miss you! (Apr 4, 2015) - - Our April meeting was our annual ARRL Night as our Special Guest was Ohio Section Manager Scott Yonally, N8SY. Also attending was our Affiliated Club Coordinator John Myers, KD8MQ. Scott's annual visit included current happenings within the Ohio Section and the renewed importance of public service and active club participation in our community. His visit also included a presentation of our active renewal for our ARRL Special Club Status. This elite ARRL status recognizes a affiliated club that goes above and beyond for their community and for Amateur Radio is what defines a Special Service Club. They are leaders in their Amateur Radio community who provide active training classes, publicity programs, and actively pursue technical projects and operating activities. Thanks to the clubs strong belief in our hobby and our community, we have been a Special Service Club for the last ten years. Affiliated Club Coordinator John Myers, KD8MQ (L) presents President Ralph, K8HSQ with our renewed Special Service Club Certificate. (UPDATED) (Mar 7, 2015) - - - Continuing on the current theme of kit building and fox hunting, the March Mentoring Class covered the construction of a Tape Measure Beam for Fox Hunting. The class was held at the Massillon Senior Center on Saturday, March 7th. This months Mentor was Dan Anastas, N8DZM our resident Fox Hunter. A kit of parts needed to construct the Tape Measure Beam was provided for $13.00. Dan coached the builders on the construction of the beam antenna providing some theory on its design and operation. This will continue in our April Mentoring Class which will be on learning how to Fox Hunt and will give you a chance to use both your Attenuator and Tape Measure Beam. This class will be held on Saturday, April 11th also at the Massillon Senior Center. Additional details will follow. Our thanks to club member John, N8CD for the great pictures !. Another successful Mentoring Session ! (UPDATE) (Feb 7, 2015) - - Our February Mentoring Program was conducted on Saturday, Feb 7tg at the Senior Center. This training was conducted by John Wagner, N8CD and was part of a series on Direction Finding. This part was on the construction of a Variable Offset (Active) Attenuator built from a kit. John began with the basics of soldering, a skill all radio operators should have. This included proper safety techniques, the theory of how an attenuator works and testing out the kit when completed. Approximately 10 club members took part in this session including builders and mentors. John's program included an excellent powerpoint presentation following step by step help and guidance in building the K0OV kit from Marvin West, KE6HTS. The kit included a great looking case from the famous Altoids Mint Tin. Everyone had a fun time during this mentoring session and learned a lot. We especially want to thank John, N8CD for the time he spent preparing this training session including the individual help he and his mentors provided the members. Everyone's kit went together fine and all worked ! Our March and April Mentoring Sessions will continue this theme as we build the famous Tape-Measure Beam used for DX'ing and some actual field training during April. The build station with lots of help provided ! (Jan 18, 2015) - - The clubs first Mentoring Program was held on Saturday, Jan 17th with about 20 members and guests in attendance. The class was held at the Massillon Senior Center. This months Mentor was James Andrews, KD8VT and the class covered proper station grounding for your shack. The training included a very informative powerpoint presentation and lecture from James. The attendees learned the basics of station grounding including lightning protection for your equipment and tower installations. James also included some show & tell on various types of coax and hard line usage. The club provided coffee and donuts for the morning. Thanks also to James XYL who brought an assortment of cookie's and cupcakes. The presentation was excellent and well received by everyone. James also will provide a copy of the powerpoint that will be posted to the club's website for those who couldn't attend. A Bit of Repeater History ! The clubs 147.18 Repeater is the high profile wide area coverage repeater in Western Stark county and has been for quite some time. But it wasn't always so, in fact at one time it was not even a repeater at all ! Learn about the colorful history of the repeater thanks to an early issue of the clubs newsletter that I recently found. Since 1927, the Massillon Amateur Radio Club has been a diverse radio hobbyist club that is currently over 80 members strong. Active within our community as well as an ARRL Special Service Club, we are actively involved in many facets of Amateur Radio, including Public Service, Membership, Field Day, Repeaters, Amateur Television (ATV), Skywarn plus many other interests. You are welcome to join us at our monthly club meetings held on the first Friday of each month at 8:00 PM at the Massillon Senior Citizens Center, located at 39 Lincoln Way West, Massillon, Ohio 44647. We usually monitor the club's 147.18 repeater, give us a call and we'll guide you in ! MARC owns and operates repeaters in the 2 meter and 70 centimeter bands. Our annual Hamfest is held at the Massillon Boy's & Girls Club in Massillon. We have a large indoor hamfest area, as well as ample outdoor parking. The prizes are some of the best you'll find at any area hamfest and the bargains are many. As a club member, not only will you have access to the autopatches on our 2m and 70 cm repeaters, but you will also receive a monthly subscription to our newsletter, Feedback. In each issue you will find published, the minutes of the previous month's meeting, informative articles, and interesting narratives by our club members. The club owns an emergency response communications trailer that is stocked with radio equipment and back up batteries, as well as a generator. With little notice, MARC can have an emergency station on the air, ready to provide any help we can. Our club station, located at the Senior Center, contains an HF station, VHF and UHF gear, and a computer system. The station is open to any club member, during the hours that the center is open. The club also sponsors quarterly VE Exams quarterly at the Emergency Operations Center located at the Stark County Sheriff's office and during our annual Hamfest. Please check the link for times and specific dates. ARES�, Amateur Radio Emergency Service and the ARES logo are registered trademarks of the American Radio Relay League, Incorporated and are used by permission. MARC 2008 Final Field Day Results. The Great American Canoe Race. MARC At Goodyear Safety Day. The Great K8KIP Tower Project. Ten-Tec Co-Founder Al Kahn, K4FW, Silent Key. The Folding J-Pole Project From N8ATZ. Practice What You Preach - Using the Anderson PowerPole Connectors in the Shack. LST-325 Plans Amateur Radio Operation During Cruise. MARC Featured on Amateur Radio Disaster Services Website. W8DEA Assists FEMA During Florida Hurricane Recovery Efforts. Club Completes Red Cross Antenna Project. GOBA Returns to Stark County - A Final Report. The Grand Old Days of kit building - Part 4. The Grand Old Days of Kit building - Part 3. The Grand Old Days of Kit building - Part 2. The Grand Old Days of Kit building - Part 1. MARC Spotlighted in Winter 2003 Edition of Ohio Section Journal. The Amateur Amateur; APRS, The Beginning. ARRL COO Testifies On Capital Hill to Amateur Radio's Value in Disaster. The Way Back Machine Story. Dayton Hamvention, May 17, 18, 19. Click Here for updates from the Great Lakes Director Dale Williams, WA8EFK. Check on the latest FCC News affecting Amateur Radio. Just exactly when do I have to ID my station ? Q & A on Station Identification. Q. Do I have to give my call sign at the beginning of a contact ? A. You only have to ID at the end of the QSO and at least once every 10 minutes during it's course as per Article 97.119(a). There is no requirement to transmit your call at the beginning of a contact but it is customary when calling another station to give your call as part of the exchange so the other station knows who is calling him ! Q. How often do I have to give the call sign of the station I'm talking to ? A. You are not legally required to mention the other amateur's call at all per Article 97.119(a). The only exception is when handling traffic with foreign stations - you must then give the other station's call sign at the end of an exchange of third party traffic per Article 97.115(c). ARRL News from the Ohio Section is now available by clicking on the above logo. News items currently included are the current copy of the Ohio Section Journal, and general section news from Section Manager Scott Yonally, N8SY. The MARC sponsors FOX Hunts to increase technical knowledge in this area and most of all to have fun !. We keep the rules simple. The Fox shall be within Massillon City limits and on public property. The Massillon Senior Center will be used as starting point. The first person to find the fox gets to hide it the following month. Use any equipment you have to find the fox. Any and all are welcome to join the fun and enjoy the hunt ! The Search for the Elusive Fox ! Contact Dan - N8DZM Fox Mister for details. Still Interested in looking at our Holiday webpage ? Click Here to have a look !